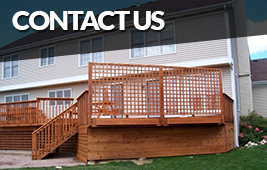 Protect the exterior of your homes deck, fence, playset or pergola with Nu-Again professional deck sealing, deck staining and restoration services in Batavia, Illinois. 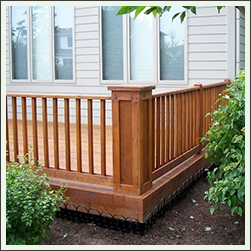 To assure the best deck cleaning method for your wood's surface, a Nu-Again cleaning specialist will profile your wood. 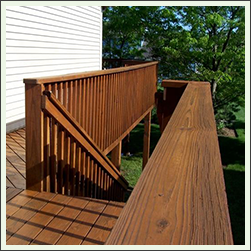 We believe in treating the condition of the wood's surface by incorporating safe cleaners to treat the surface not just by using high pressure alone. 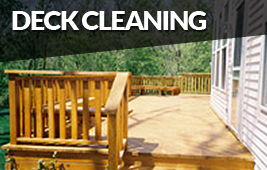 Power washing alone will not kill mold or mildew, and algae and may damage the wood's surface. 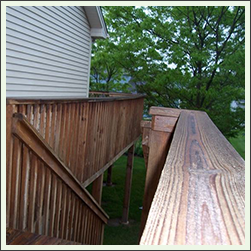 After profiling the wood's surface, the cleaning specialist can incorporate the right strength of safe cleaners to treat the wood's condition. 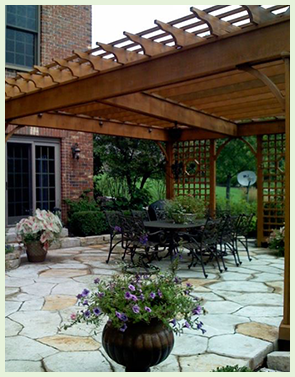 Our process is more thorough, and the results we get with it are always Nu-Again. 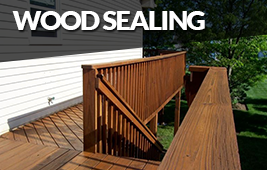 After the thorough cleaning of your exterior wood surface, our sealing crew will seal and beautify your deck. We'll first look over the work area and will cover all adjacent areas. 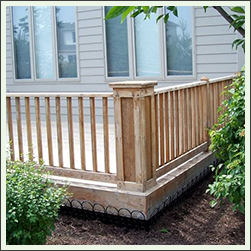 Afterward, the nails will be reset followed by light sanding of the affected areas to promote a safer walking and sitting area. 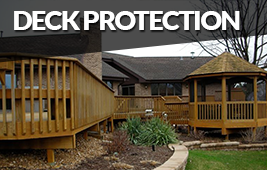 Finally, depending if you selected our three coat Nu-Again X-treme service or our oil-based finish we guarantee improved appearance and durability of your exterior surfaces for years to come.